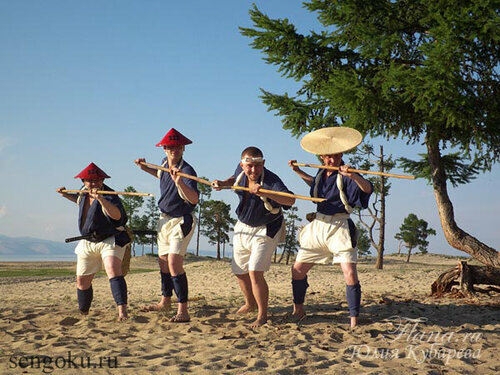 The first festival of Russian Association of Re-enactors of Feudal Japan (ARFJ) took place on Olkhon island on the shores of Baikal lake on 2-6 of July. 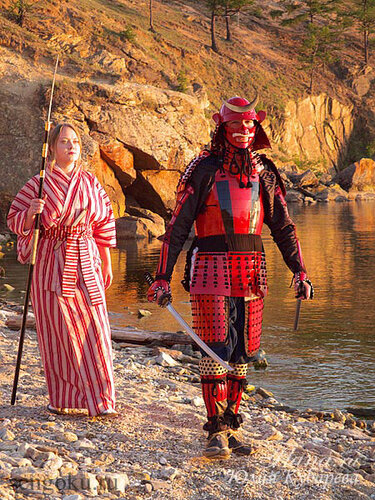 Beautiful views of UNESCO world heritage site became the scene of Feudal Japan re-enactment event. 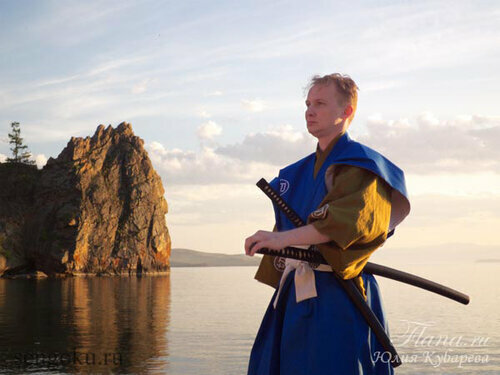 ARFJ members of cities of Irkutsk and Bratsk organized the festival this year. 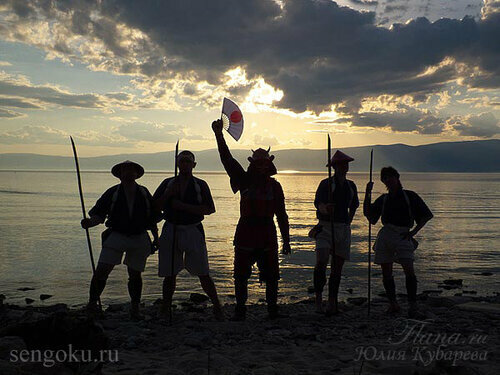 Re-enactors from Moscow, Irkutsk and Bratsk took part in the event. Unfortunately, ARFJ members from Saint-Petersburg and Yekaterinburg could not take part in the festival due to force majeure. Nevertheless, all who have come spent lovely time and got clear benefits from this remarkable event. At the festival, Sanjiro-san delivered some lectures for the newcomers. 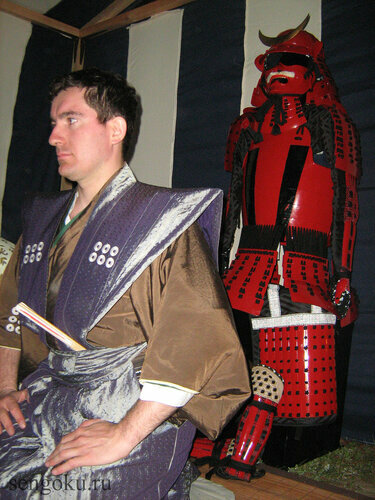 He presented history of Feudal Japan in brief and structure of XVI century Japanese armor, based on the tosei-gusoku armor. 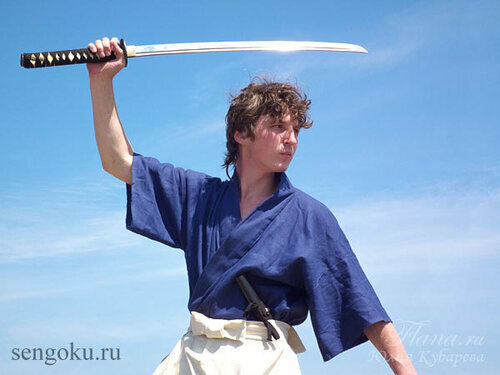 Hattori Saizo gave master class for Japanese sword handle installation. 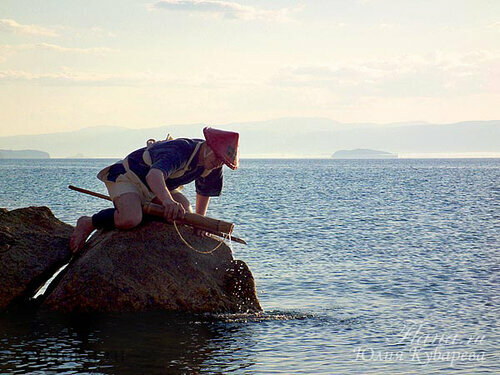 The participants exchanged experience in re-enactment skills during the festival daylong. 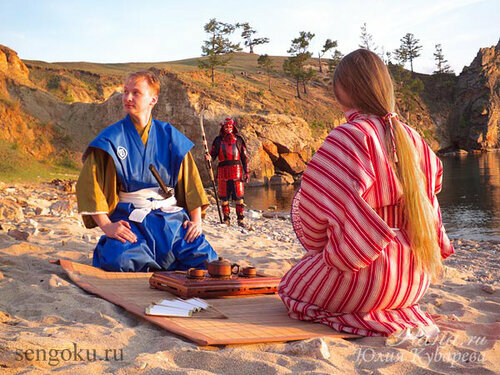 The most helpful were consultations of Yulia Kubareva, ARFJ expert on Japanese costume. 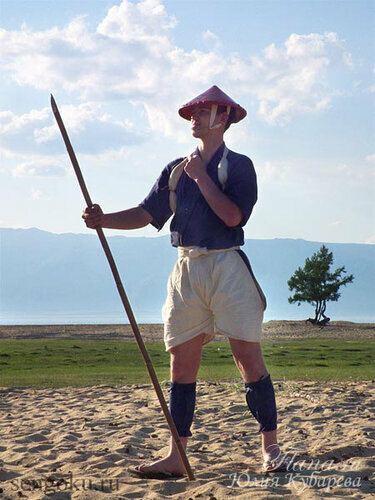 The highest re-enactment achievement was installation of a field pavilion - akunoya. The pavilion was a handiwork of Irkutsk and Bratsk ARFJ members. Akunoya served the place of evening association meetings. 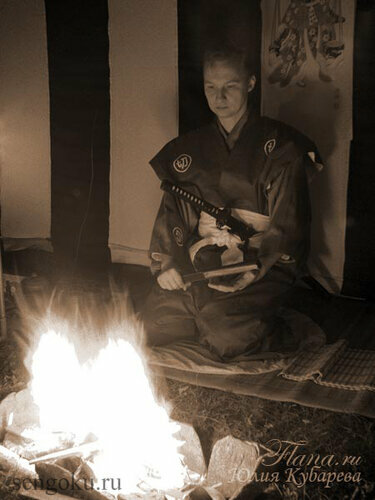 It was a real pleasure to discuss issues and prospectives of re-enactment movement drinking hot tea and warm sake in the pavilion. 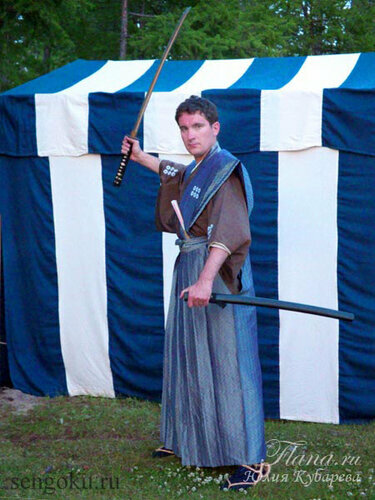 Among other things, the war horn horagai was tested in field conditions during the festival. Initially 3 chambara tournaments had been planned. 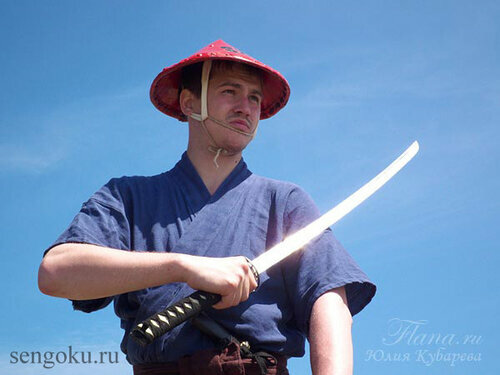 However, already in the first tournament (sword models) all safety equipment was broken due to hard hits. 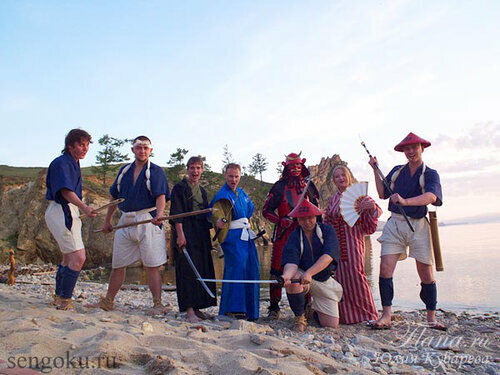 The next chambara tournament on tanto was held without much problems. 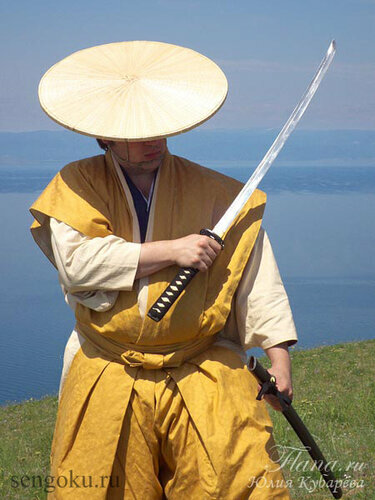 In stubborn struggle Sanjiro-san won the day. Congratulations to the winner! 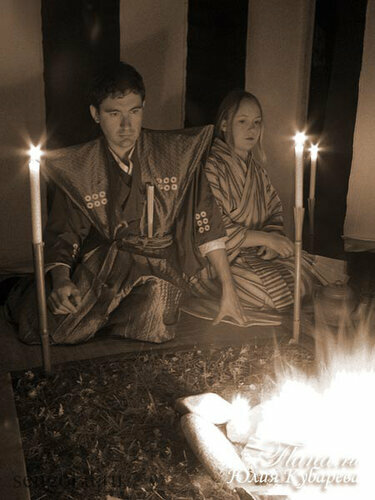 During the festival it was officially announced that a new clan joined ARFJ. 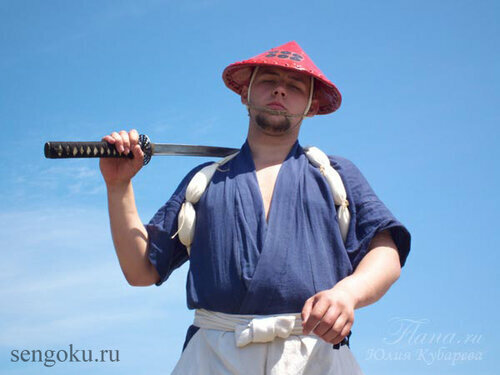 The newcomer - Sanada clan – was organized within Irkutsk part of Hattory clan. 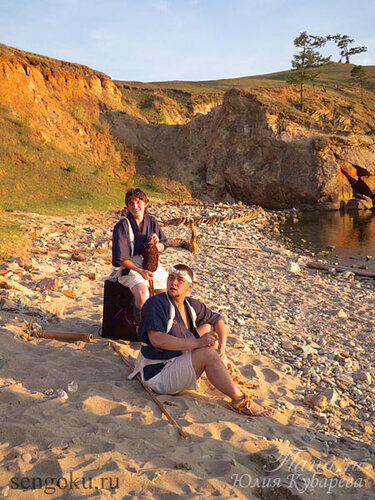 In addition to re-enactment activities the agenda of the festival included two tours around Olkhon island. During the first tour the participants visited the most beautiful places of the island and took part in a photo sessions. 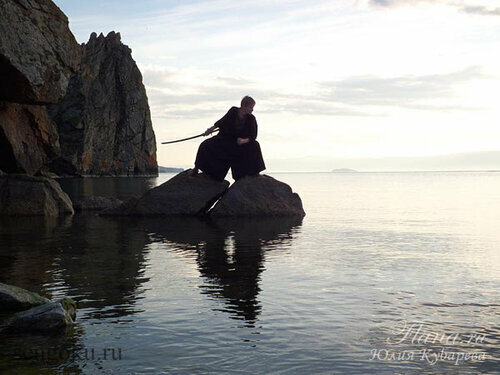 During the second one a native Buryat village was visited. All the delegates were greatly satisfied with the event and planned to take part in the next festival.